A powerful dailies platform for shot management and high-performance transcoding. 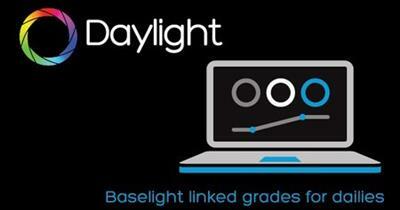 Daylight is designed as a compact yet powerful grading decision tool to help DoPs and directors establish looks and visualise what they have shot, on set or on location, as well as meeting all of the sophisticated deliverables requirementsin one application. Prelight is a macOS application designed to allow a Director of Photography (DoP) and other creatives to freely author, apply and modify looks. The commercial version, Prelight ON-SET, extends these tools for the Digital Imaging Technician (DIT) for use during pre-production, production and post. Baselight Editions extends the capabilities of a high-end colour grading system directly onto the Avid timeline in a powerful, flexible, and tightly integrated workflow. This AVX plugin features unlimited layers of colors, grading inside and outside mattes, variable feathering, point tracking and area tracking — all live and fluidly interactive on the Avid timeline, minimising and even eliminating the need to go back into the colour suite with last-minute changes.